Are you in the market for a new manufactured home? Perhaps you’ve been shopping around, but are disappointed by the quality out there. Don’t be tricked into thinking all manufactured homes are alike. 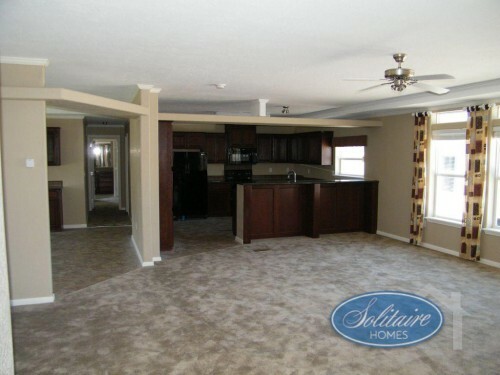 In fact, here at Solitaire Homes we take immense pride in the quality of our craftsmanship. Every little detail was considered with you and your living experience in mind. 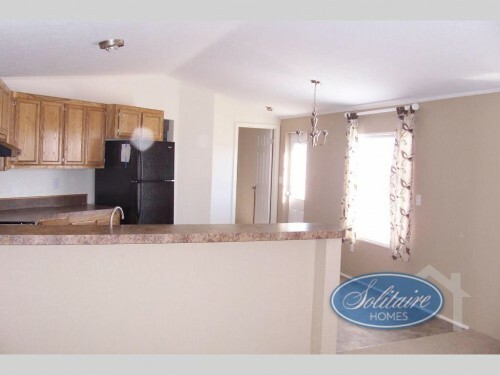 Here are some of the construction features of double section homes that we sell. Find open floorplans, multiple bedrooms,and more for the perfect home! Non-allergenic insulated heating and air conditioning ducts provide the quiet movement of clean air throughout the home. This means that your HVAC system will be quiet and efficient. Additionally, you can rest confident that the system won’t aggravate allergens or cause them to build up. Attics feature static roof, soffit and gable vents for ventilation, and access by way of residential sized vents at each end of the home. This makes home maintenance and care much easier because of you have easy access. Interior walls and ceiling are covered with 1/2 inch sheet rock which is glued and hand nailed. This is durable and designed to last through the wear and tear of kids, pets, and family coming in and out. It also makes patching any little holes from nails or accidents easier, because you just run to your home improvement store and buy some sheet rock patch. We use premium grade paint that will last for years. Low grade paint flakes and chips easily. This paint is washable and designed to withstand a family living in the home. This is just a snapshot of the quality you can expect from Solitaire. Our dedication is to you and your family. That’s why we make it a point to ensure you find the best home possible. If you’re looking for a double section home for sale, contact us. We will assist you in your search and ensure you find what you’re looking for.